This year’s extended winter season, mixed with the quick onset of summer-like conditions, has created some interesting situations for the state’s rivers. Many are overflowing their banks and seeing a substantial increase in water movement. Measured in cubic feet per second, some rivers have increased their flow from an average of 400 to well over 1,000 cubic feet per second. What’s that mean? There are roughly 7.4 gallons (28 liters) of water in a cubic foot. Now, imagine seven gallon-sized jugs of milk flying past you in a second’s time; or, if you’re lactose intolerant, 14 containers of whatever it is you like to drink that happens to come in a 2-liter bottle. That’s equivalent to just one cubic foot of water. A rate of 1,000 cubic feet per second; well, let’s just say, that’s a lot of diet soda moving past you. Factor in that each of these cubic feet of water weighs approximately 61 pounds, and you have a formidable force of movement. 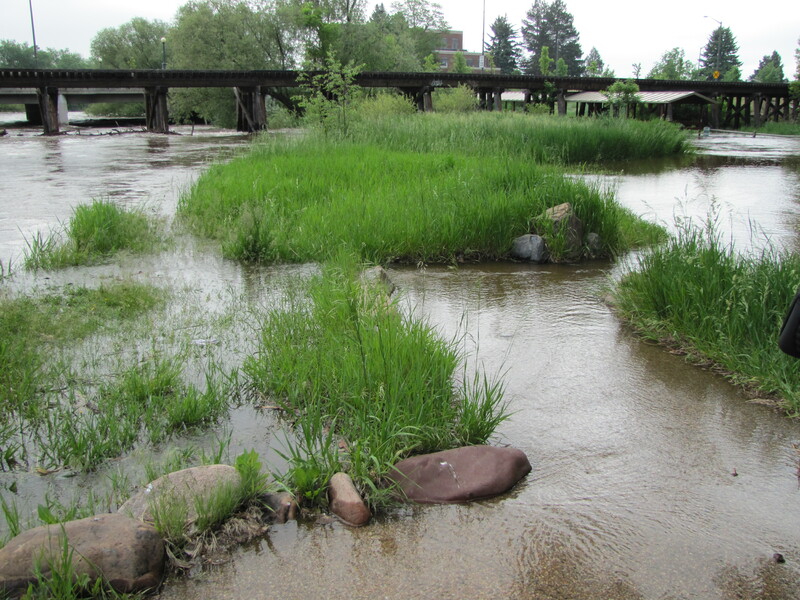 The Cache la Poudre has played a huge role in shaping the development of Fort Collins. Starting as a military settlement along the banks of the Poudre, the soldiers established Camp Collins in 1862 to protect people traveling the Overland Trail. June of 1864 saw several days of heavy rainfall melting off the snow pack in the mountains. 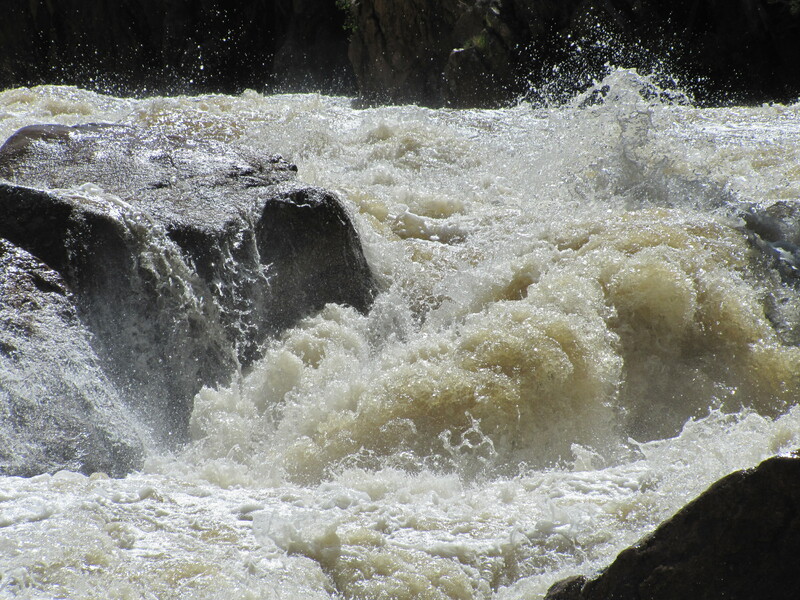 According to some reports, the Cache la Poudre became a twenty-foot high “wall of water” that washed away the camp. That fateful flood caused the Army to reestablish a few miles east of their original location, thus creating Fort Collins. As we build the new home of the Fort Collins Museum & Discovery Science Center, the Cache la Poudre figures prominently into our plans. Not only will the river help us illustrate the history of the region and demonstrate scientific phenomena ranging from biology to physics, the river itself will form a backdrop for the museum property. Watching the banks of the Cache la Poudre swell and overflow a short distance from our proverbial backdoor is, on the surface, a little scary. It’s also an important reminder of the power of nature and its ability to affect mankind, on a variety of levels.